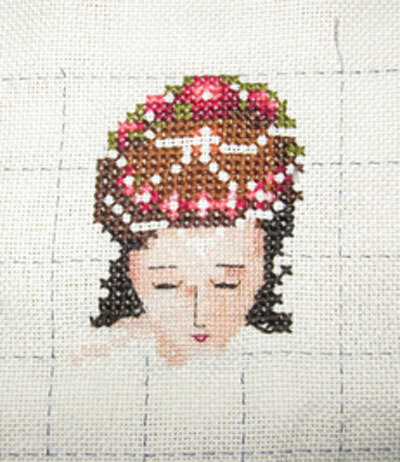 My friend Jill and I are having a stitchalong on this Mirabilia design. 2 hours every Friday. I didn't get to it this Friday just gone as I was too tired but have rectified that by stitching on it both yesterday and today. It has been a case of 3 stitches forward and 2 back so not much achieved. I am stitching the skin 1 over 1. Think it looks a bit messy. Too bad as I am over frogging.